Stringer Sir Howard Stringer, a Welsh-born American, became the first foreigner to head Sony when he took over as CEO of Sony in June 2005, replacing Nobuyuki Idei The move---a foreigner at the top one of Japan’s most famous companies---came as quite a shock to Japanese. Stringer had served as Sony’s Executive Vice President and director at Sony Corp. As chairman, president and CEO of Sony Corp. of America he helped orchestrate the acquisition of MGM pictures, masterminded the merger with Bertelsmann music group and presided over Sony movie hits like Spiderman 2 and cut 9,000 jobs in the United States and $700 million from the U.S. budget. He joined Sony in 1997 and has also served as head if the CBS television network. Stringer promised to make Sony “cool again” when he took over the company in 2005. Stringer, analysts said, had to slim down Sony’s operation and bring back the eye-opening innovation that made the company famous. He pushed for hiring younger engineers more literate in the digital age to design gadgets that incorporated sophisticated software and online capabilities. In September 2005. Stringer announced a ¥210 billion reorganization that involved cutting 10,000 jobs worldwide, selling ¥120 billion of assets, closing 11 production bases and shaking up management in a big way. Stringer was born to an English father and Welsh mother. He came to the United States after graduating from Oxford University in 1965. Three months after landing a job at CBS he was drafted to serve in American military in Vietnam even though he was a foreigner and told if he didn’t comply he would be deported. In Vietnam he came under fire several times, including friendly fire, and survived leaving Vietnam in a plane that was hit by enemy fire. After Stringer returned to the United States he worked at CBS as a documentary producer and eventually rose to become president of CBS. In 1997, Stringer was recruited by Sony chairman Nobuyuki Idea to serve as president of Sony America. He took over at a time when Sony America was suffering losses due to its poor performance in the movie industry and helped turn the company around. After becoming head of Sony Stringer called on Sony employees around the globe to work more closely together. Under Stringer Sony cut thousands of jobs, floated its financial arm in the stock market and sold its advanced semi-conductor operation to Toshiba. 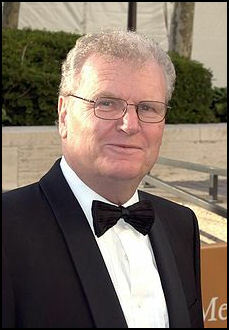 Sony’s CEO Howard Stringer received ¥816 million pay package, including stock options and bonuses, in fiscal 2009 -2010. His basic compensation of about ¥310 million was supplemented by ¥100 million in bonuses and options on 500,000 shares of stock with an estimated value of ¥400 million. Three other Sony executives earned more than ¥100 million, including the Vice Chairman Ryoji Chubashi and Vice President Nobuyuki Oneda, who earned ¥215 million and ¥164 million, respectively. In fiscal 2010-2011 Stringer received 345 million yen ($4.3 million), along with stock options worth 518 million yen. Howard Stringer, a Success or Failure? At the same time Stringer was appointed, Ryoji Chunbachi was named president of Sony, replacing Kunitake Ando. He was put in charge of the software business while Stringer became more responsible for the hardware side of Sony. After a management reshuffle in 2009 Stringer’s favorite lieutenants were finally in place in 2010. Investors reacted positively to that news, hope being that he could finally focus on his oft-stated vision to link Sony’s hardware with its software. Sony’s stock prices doubled in 2009. In March 2011, 50-year-old Kazuo Hirai was made the head of a new unit that combines Sony’s video game and consumer electronic businesses. Many see this as a step on the way to taking over Howard Stringer’s job as CEO. Sony produces large LCD television panels through its joint venture with Samsung. In 2008 it began obtain LCD panels from Sharp to meet demand. Sony’s alliance with Samsung and Sharp on LCD panels have allowed it to lower production costs and develop products faster than procuring parts from a third party. Sony and Samsung formed their joint venture, S-LCD Corp, in 2004. Sony, IBM and Toshiba have worked together to create chips, code-named Cell, that are powerful as supercomputers. The chips were made to be used in PlayStation 3s. It turned at that spies with IBM turned over secrets from the project to Microsoft so it could use the technology in its X-Box video games. In September 2007, Sony announced it was selling a chip plant to Toshiba for around $10 million. The selling of the plant, which producers chips for games, marked Sony complete exit from producing semiconductors for games, allowing it to concentrate on chips for video and digital camera. Sony and Toyota have formed an alliance to produce LCD panels for cars and are working together to develop a single-seat “transporter” vehicle called the “I-swing.” Sony, Toshiba and Hitachi are talking about forming a partnership to jointly produce LCDs. New Sony Strategy and Comeback? In 2010, Sony management acknowledged past mistakes but said it was poised for a comeback. “We will go on the offensive in 2010,” said Yoshihisa Ishida, a Sony senior vice president, at the unveiling of a new 3-D television in Tokyo in March.